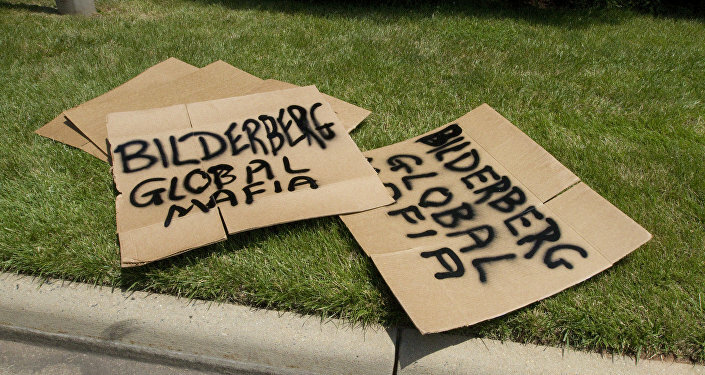 The Bilderberg Group is a perfect example of a transnational and cosmopolitan elite, which has dictated its rules to politicians and media over the course of many years. Therefore, some conspiracy theorists have exaggerated its role by painting it as a real world government. Sputnik: Each year, 120-150 people from various countries meet for the Bilderberg meeting. The meeting's closed nature and the heavy security measures surrounding them create an aura of mystery. What sorts of characteristics must a person have to be accepted into this club? — Charlie Skelton (@deYook) 9 июня 2018 г. The club's decisions are not put to a vote, and it does not publish any official statements; it is known (at least in general terms) what they talk about, but generally not how. This closed nature serves to nurture the image of a global "shadow government" that Bilderberg has established for itself. — Richard Wellings (@RichardWellings) 6 июня 2018 г. — Luke Rudkowski (@Lukewearechange) 8 июня 2018 г.
Sputnik: The participants of this club do control the world and influence our lives. But how do they actually do it? Could you give a real example of their power? Daniele Scalea: First of all, I will clarify: Bilderberg is not a global "shadow government"; these annual summits do not result in decisions on how the situation in the world is to develop over the next 12 months. — Charlie Skelton (@deYook) 8 июня 2018 г.
Sputnik: In his own time, Charles de Gaulle stepped out against France's entry into NATO. Are there leaders in the world today who are prepared to go against the decisions of the club? Daniele Scalea: Undoubtedly. The Euro-Atlanticist perspective of the Bilderbergs gives them an unfavorable assessment of the growth of Russian influence, not to mention Vladimir Putin's independent policy. Daniele Scalea: The Turin meeting will discuss topical issues such as the growth of populism in Europe, free trade, the US role as the world's superpower, Russia, the rivalry between Iran and Saudi Arabia, and the new Italian government, which club members are somewhat concerned about. They have also spoken about the possibility of an intra-European alliance of the countries of the Visegrad Four and other right-wing governments. … Another topic is the internet, which can be a dangerous tool in the hands of the enemies of the establishment, and the need to find ways to control it and prevent it from being used by the public to create alternative sources of opinion. You can find Daniele Scalea's full interview with Sputnik Italia here (in Italian). The views and opinions expressed by Mr. Scalea are those of the speaker and do not necessarily reflect those of Sputnik. This year's Bilderberg Group meeting is taking place in Turin, Italy between June 7-10. Following the rules set by its founder, American billionaire David Rockefeller, two thirds of the group's members are representatives from Europe. The remaining third represent North America.